A native of San Francisco, California, the 6’7″ 300 lb defensive lineman played two seasons at City College of San Francisco before finishing his career at West Texas A&M. At West Texas A&M, Iosia played in all 11 games on the defensive line, tallying 43 tackles, 21 solo, and 8.5 for a loss. He earned honorable mention All-Conference honors and was named LSC Defensive Player of the Week. 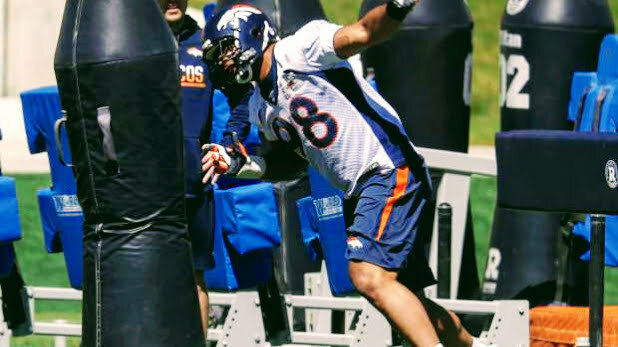 Undrafted from a small school, Iosia was signed by the Tennessee Titans and Arizona Cardinals in 2016, as well as the Denver Broncos in 2017. At just 25 years old, the bruising big man has a ton of good football left in him. He will suit up for The Spring League in 2018 to prove he belongs back on football’s greatest stage.